Eyes seem to have turned on the popular TV reality show ‘Bigg Boss 2’ as it has sprung a surprise for all the viewers. Earlier rahul was seen as one of the weakest candidates among the participants of Bigg Boss season 2. 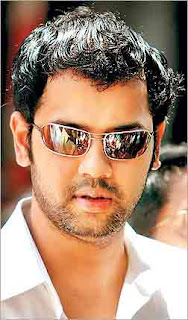 Rahul is among the six contenders who still remain in the Bigg Boss house as the show is near conclusion. According to rough estimates at least Rs. 800 million is riding on Rahul. As his chances of winning is high now, according to rough estimates punters have bet at least Rs. 8oo million on him. Rahuls political background is very strong and his controversial past has earned him a lot of fame and that’s the reason he has survived five eviction nominations , may be its his childish cute outlook which helped him sail through till now, or it’s the masala he brings from his various girlfriends, which shifts with the elimination. What ever the case but this is palying crazy among bidders and now no one doubts his chances of winning the show.